Learn how to make cocktails in York with a fun and very interactive cocktail making class. Book your cocktail lessons and get behind some of the trendiest York town centre bars and mix the cocktails under the watchful eye of the mixologist bartender. These cocktail lessons are so much fun they are perfect for your hen party or a night out in the centre of York. We organise cocktail making in some of the finest hotels in York as well as party bars and night clubs. York is one of the midlands trendiest towns with bars, clubs and sophisticated hotels in which we can organise your cocktail class. At our York cocktail masterclasses, which are all based in popular venue in York city centre, you’ll be welcomed with drinks on arrival and each person in your group will get to take part in fun, interactive cocktail making experience. The cocktail making class is exclusively for your group so no one else will be joining you. The expert bartender will show you how to make your favourite cocktails then it is your turn to make your own cocktails. Since you’re in such a historic city, you may want to opt for a classic cosmopolitan, or as you’re in one of the most haunted cities in Europe, maybe a Bloody Mary would be more appropriate? Whatever your tipple of choice, just let us know what you’re looking for, and we’ll find you the most perfect cocktail masterclass for you in York. Looking for some great hen party ideas? Or would you rather play a few cocktail making games and have some fun with a cocktail masterclass hosted by your very own dedicated bartender. No problem …. Just get in touch and we will point you in the right direction. Join in a cocktail making class in York and learn how bartenders make cocktails in this fun and interactive cocktail masterclass. Receive a welcome drink before the cocktail class begins. Choose your class atmosphere from some of our trendy and sophisticated bars and hotels. 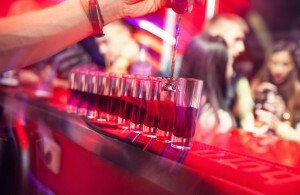 We offer party bars to upscale hotels in York. Most of our cocktail making classes in York include food and all include a whole heap of fun. When you consider what is included in these cocktail masterclasses starting at £25 per person you will great value. Celebrate your birthday with a group of friends in York town centre and party the night away with your very own cocktail session. Once your shopping trip is over, walk through the narrow cobbled streets and you’ll discover some of the trendiest cocktail bars and cafes in the country. Afterwards, you can find out what’s on in York and head to vibrant, varied nightclubs in areas such as Micklegate and the Swinegate quarter.